When you think about sedans, you don’t often think cool. It’s impossible, right? Well, Ford has achieved the impossible with the 2017 Ford Fusion and they’ve improved their ever so popular sedan, the Ford Fusion. This year’s model is packed with technology, making it smarter and perfect for those who value mobility and simplicity. There’s nothing more exciting than a new vehicle reveal and being at the Ford Fusion reveal on Monday was incredible. They have big things in the works and it is thrilling to have the opportunity to share it with the world and you guys, of course! We headed to the Joe Louis arena to see the big reveal. At first glance, you will see that the Ford Fusion hasn’t changed much. In fact, no one can argue that the same design from 3 years prior has remained almost completely intact. But, I’ve always believed that if something isn’t broke, there isn’t a need to fix it. 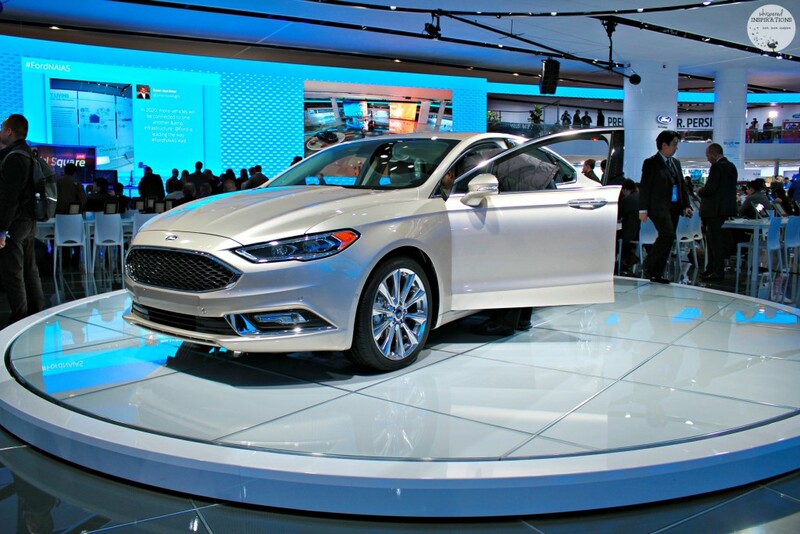 The Fusion is a beautiful car, it has a sporty yet luxurious feel for a sedan. In addition, Motherlode Roof Racks will give a better look and comfort of your car. I’ve always loved the grill and have taken it for a spin and the ride is smooth. 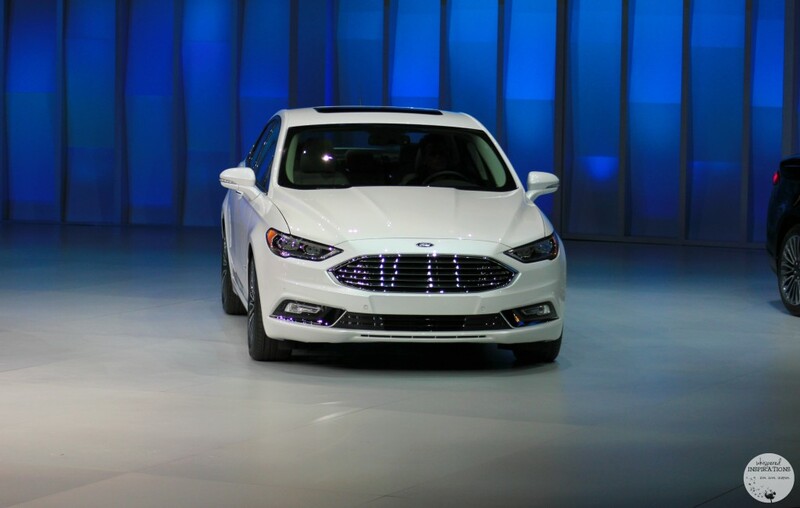 On January 11, Raj Nair, Ford executive vice president and chief technical officer of Global Product Development unveiled the new Ford Fusion and it was quite impressive. Not only have they made noticeable changes to smaller aesthetic details, it’s the software that really takes the cake on the new 2017 models. Introducing the Platinum and Titanium. Ford has added a luxury model, the Platinum. You’ll notice small but, important details like a new dial shifter, gorgeous quilting in the seats and 19″ polished aluminum wheels to name a few. For those who are like me, you’ll be happy to learn that they have added a sports model, the Titanium and they both have software that not only makes life better but, easier. You’ll notice that the sports model has a rear spoiler and a wicked black-mesh and newly designed grill. It boasts performance with twin-turbocharged 2.7-liter EcoBoost® V6 delivering a projected 325 horsepower and 350 lb.-ft. of torque. One of the most extraordinary features is the Fusion’s ability to anticipate rough spots on the road. If you live in areas where weather does a lot of damage to the roads, leaving a minefield of potholes to hit during your commute–you’ll love this. The Fusion sport’s adjustable suspension has the ability to sense and anticipate pot holes. Even if you hit one, it will adjust the suspension and minimize the impact. Nair compares it to “skier’s legs” as it detects when the surfaces are dropping and when the front wheels detect the difference, it will adjust the suspension and the back wheels will follow suit. Ford is trailblazing when it comes to mobility and smart-assist software available for their products. 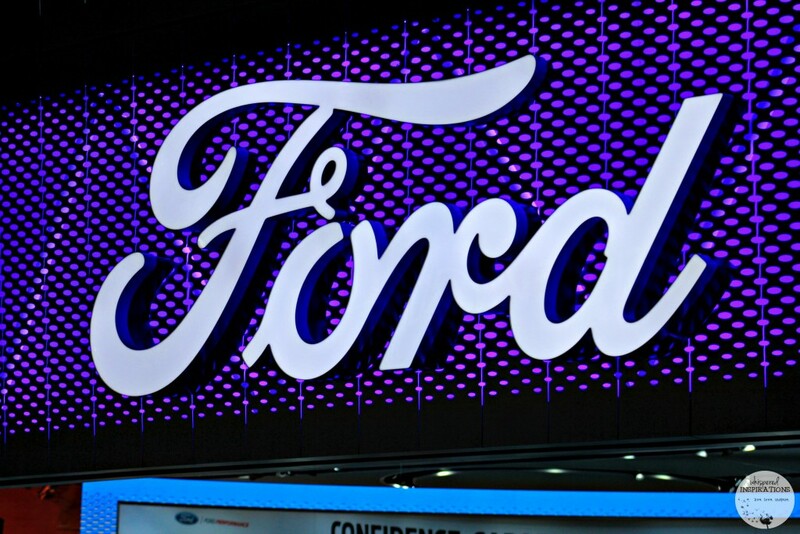 Their Ford Pass will transform Ford Motor Company into not only an automotive company but, a mobility company. The Fusion has smart-assist options that are sure to make life easier. As a Mom, I am always researching options that help keep my precious cargo safe and to simplify the daily commute. Adaptive Cruise will keep you a safe distance from cars ahead, if you happen to get out of your lane–it will let you know. If you need help parking (like I sometimes do) it offers hands-free parallel and perpendicular parking. It is also the first car sold with a pedestrian detection system. This is a particularly amazing feature because sometimes you don’t see pedestrians and sometimes you ARE the pedestrian. Having this feature in a car is not only useful but, safe. If you are driving and do not see a pedestrian, it will detect them and automatically stop the vehicle. I am happy that Ford didn’t change the overall design of the Fusion, rather they improved an already gorgeous design. This sedan works and it has outsold other sedans on the market, it’s no surprise. What makes it attractive to me as a parent is that it has all the tools that help keep my familia and I safe. Not only is stylish, it performs. 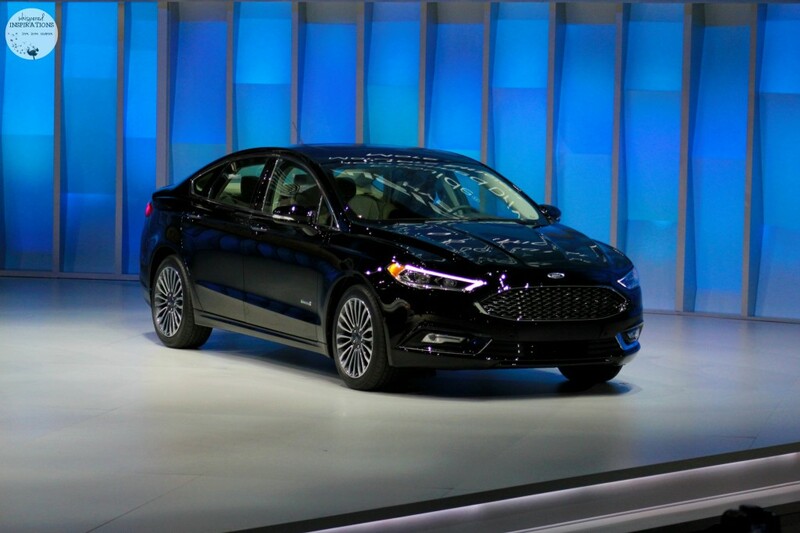 The 2017 Ford Fusion will also be available in Hybrid and Plug-In Hybrid versions. The Ford Fusion 2017 will be available this summer and the sports version will be available shortly after. 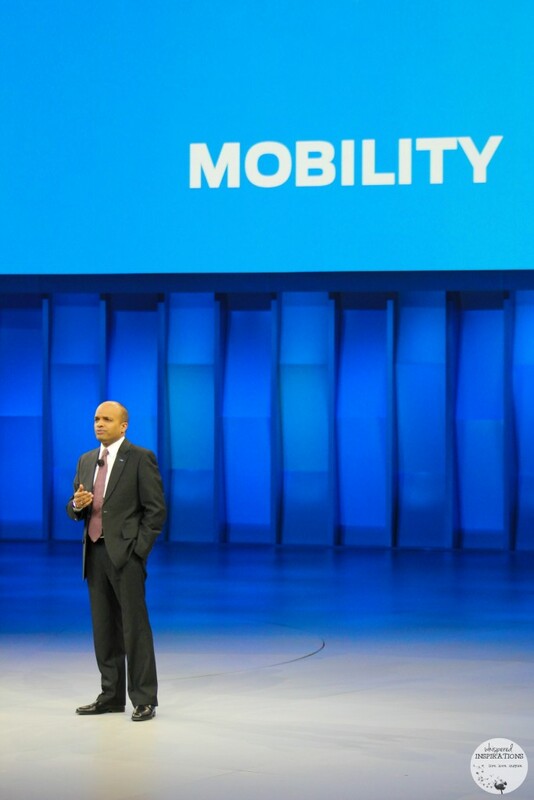 If you want to see how Ford is becoming a mobility company, make sure you read all about the Ford Pass. What do you look for in a sedan? That new Fusion is gorgeous. I would have loved to have been at the show! I am a Ford girl. I love the Fusion, it's just not big enough for my family. We have 2 Ford trucks that we love. Haha, Ford trucks are pretty awesome. I love the pedestrian location system. That would help me a lot. Where I live there are people everywhere and its always hard to see where every one is going all at the same time. The Ford Fusion looks like a great ride. I am in the market to buy a new car. Someone ran a red light and totaled out my previous car. I can't just decide what I want yet. I'm still reading reviews trying to decide. The Ford Fusion is definitely a best-seller, check it out! I love seeing how they update cars every year!! 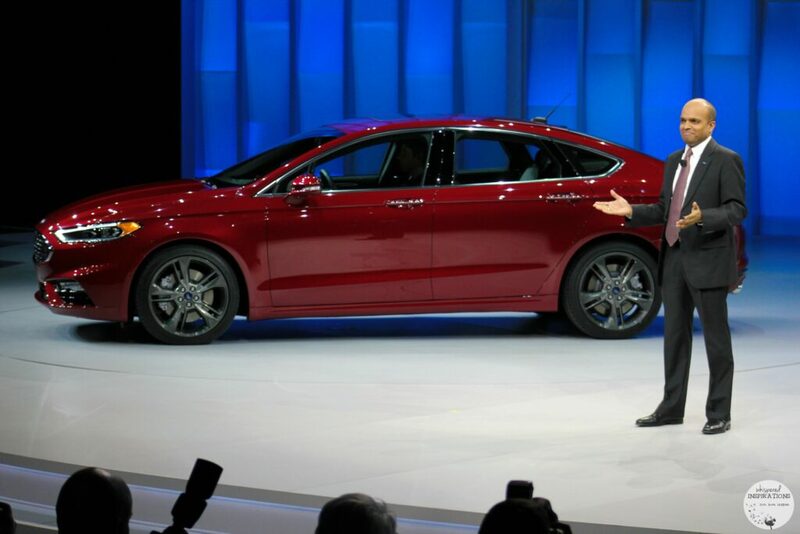 The new ford fusion looks very sleek and elegant!!! Looks like a good size family car too! It is a great sedan, that is for sure! Looks and sounds like a great car. My family has had many Ford vehicles and have been happy with each of them. I love the adjustable suspension idea! What a great addition, perfect for the bumpy roads around here! Yeah, it can really make a difference. Fords have really come a long way in the past couple of years!! This looks like one sleek car!! I really love comfortable sedans. I love having four doors. I haven't had an upgraded GPS system but wouldn't mind one! I love the look of these Fords. Thanks! My pleasure, great things to think about when buying a new car. My parents had a Ford Fusion and it was a fantastic car. I am looking for a new vehicle. I will have to go take the 2017 Ford Fusion for a test drive. The Ford Fusion is a handsome looking car! I love all that they are offering it in a Hybrid model too. My dream Ford vehicle though is the F-150 Raptor. I love those big trucks! What a gorgeous car! I love the fact they update their vehicles yearly. Is this the one Ellen's (Ellen Degeneres) giving out? I am not sure but, I would not be surprised. She is usually hip to what is in! The Fusion is awesome! Now that's something I would happily drive. I'm really liking the silver color. It catches the light just so…. right? This looks like a great car. I know my neighbor the Ford lover would enjoy seeing this one! It is a pretty wicked sedan! This is such a classy ride! It would not accommodate all of my family but it is really flashy and of course not as expensive! The 2017 Ford Fusion looks great! Very sleek! And I bet, the hubs would love to have the Titanium. He's into sports looking car. Oh, then it is perfect for him! I have a Ford Fusion, but I wouldn't mind having a hybrid! The newer styles have definitely come a long way. They are gorgeous and smart too. The Fusion looks like a great car! I loved hearing all about it! I love these cars,Ford has always been my favorite dealer! I love lots of cars in general, they all have their pros and cons!